If you have been reading us and want to take SkyNet with you wherever you are download Google Currents (it should come preloaded on new Google Nexus devices). You can read our new posts, Twitter updates and in the near future video posts all from your mobile device. 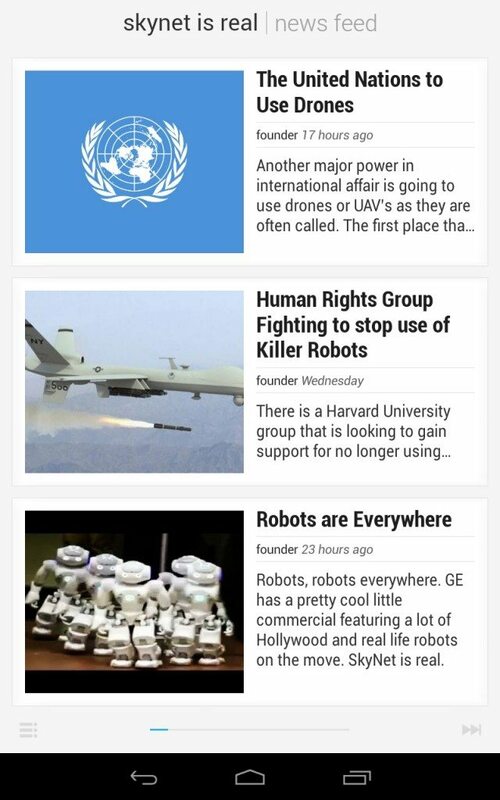 Download Google Currents, click here to subscribe to Skynet is Real and get reading!